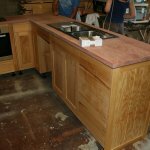 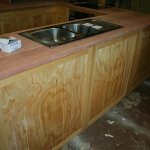 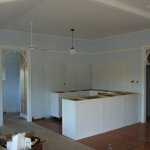 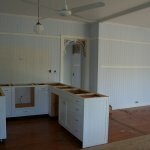 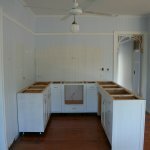 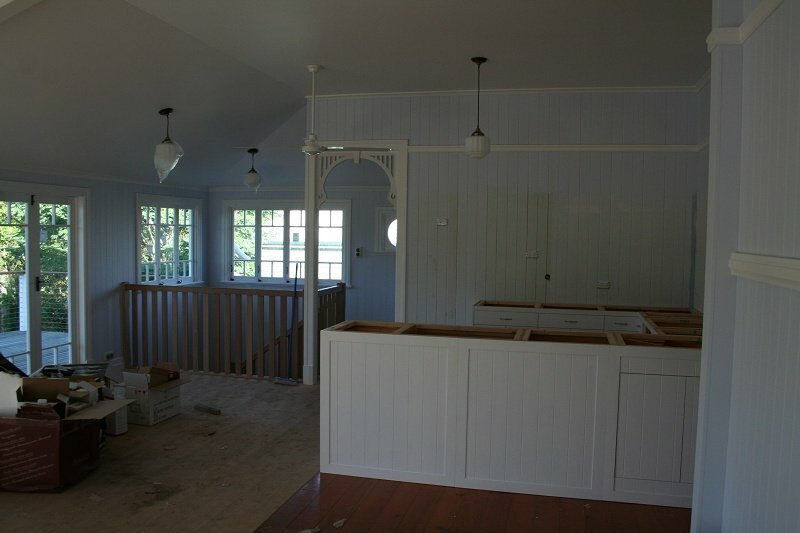 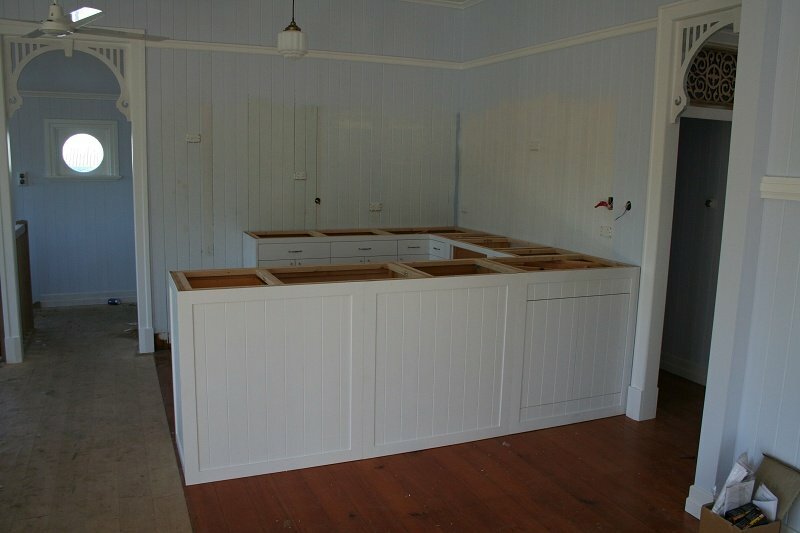 John Wood and the guys from Eumundi Originals are making great progress on the kitchen, as you can see from the photos below! 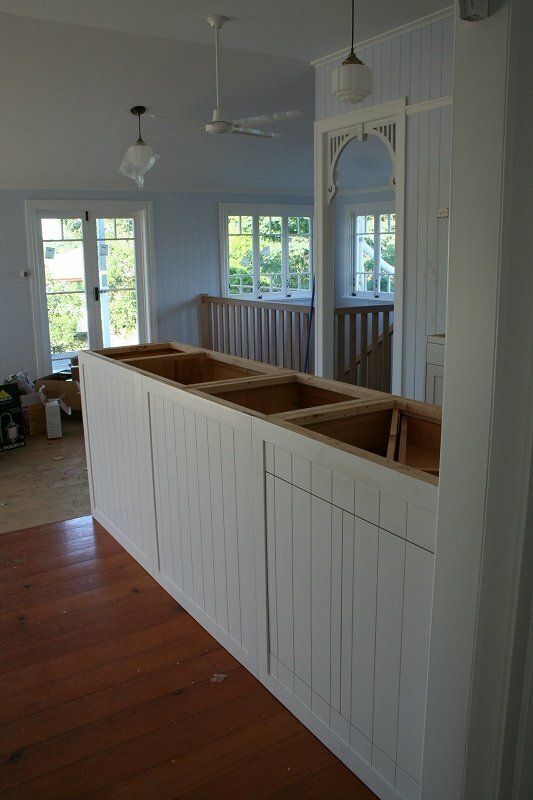 You can chat to John in person and view his fine work each Saturday at the Eumundi Markets. 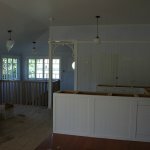 It's well worth the trip and you won't be disappointed. 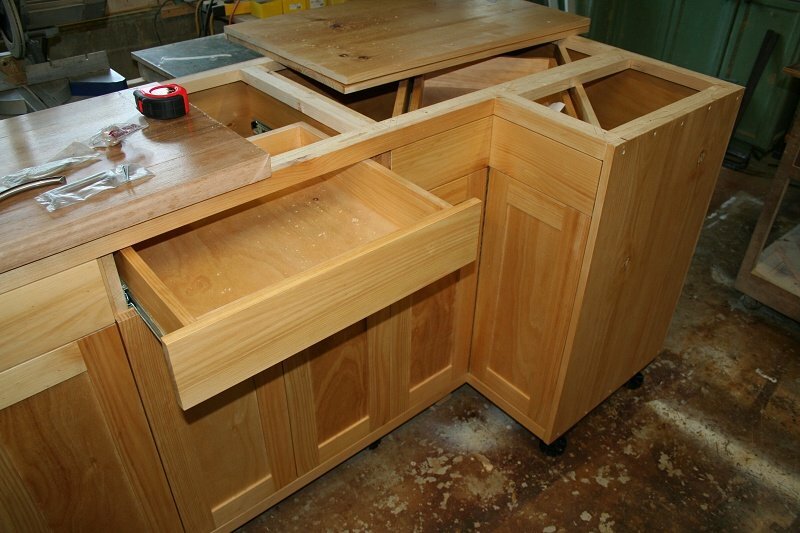 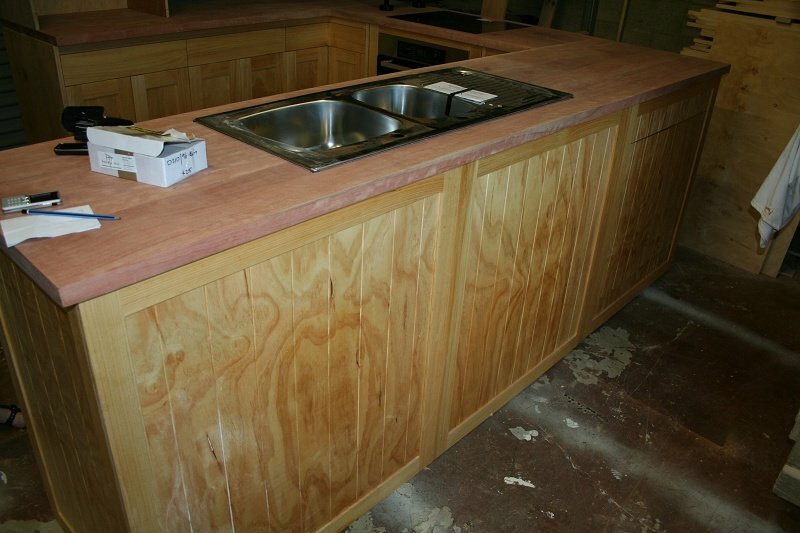 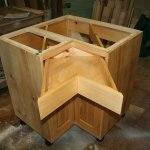 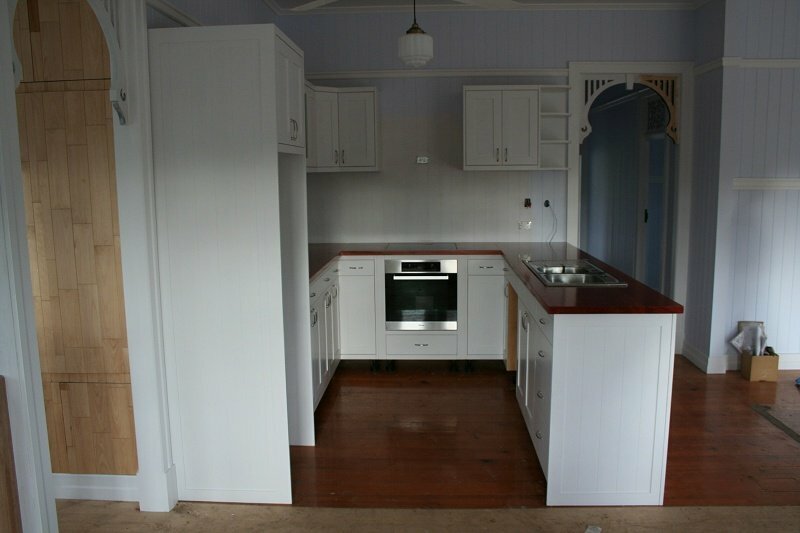 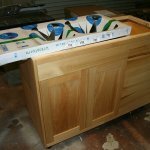 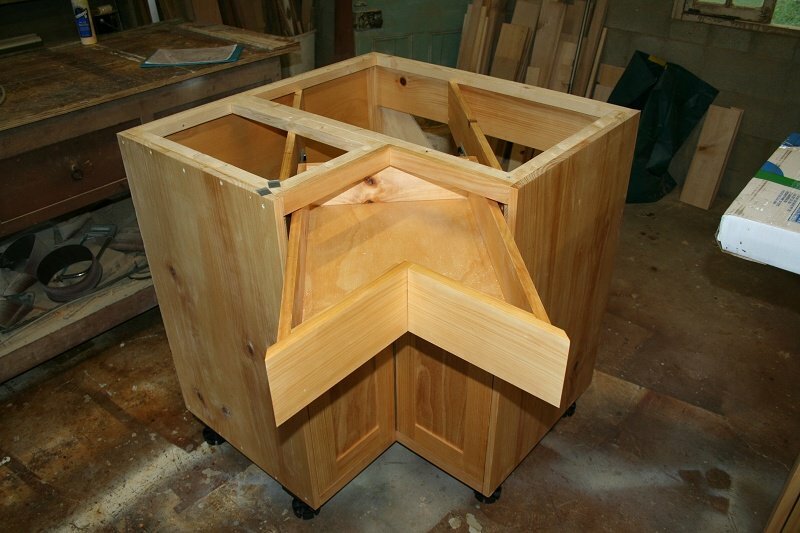 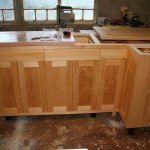 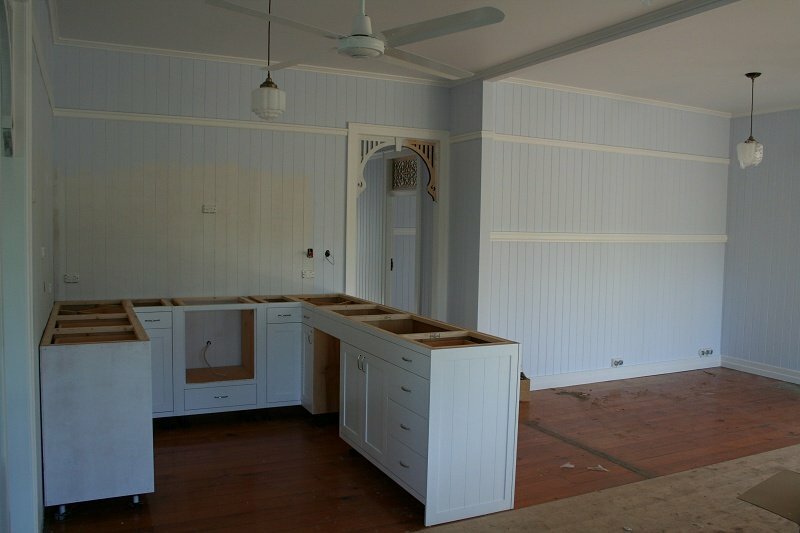 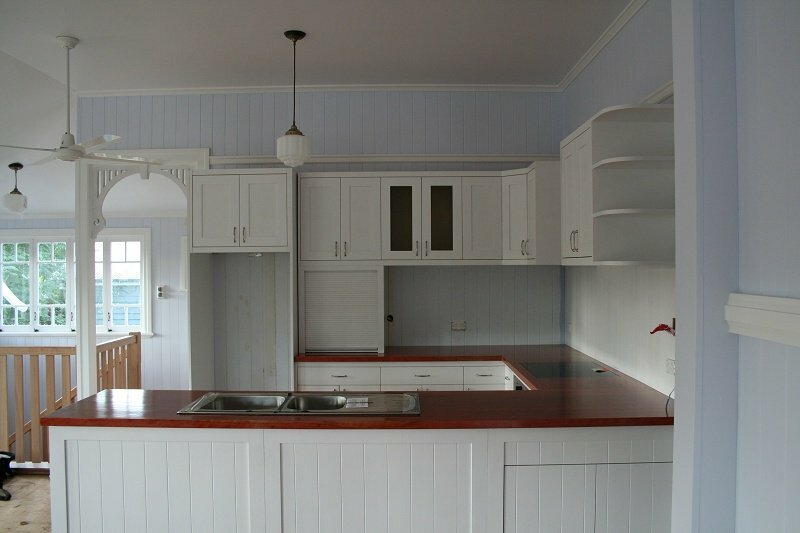 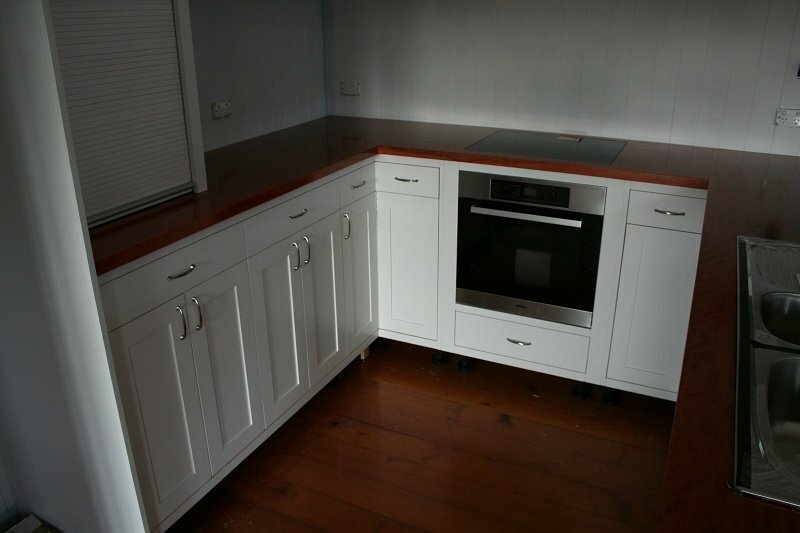 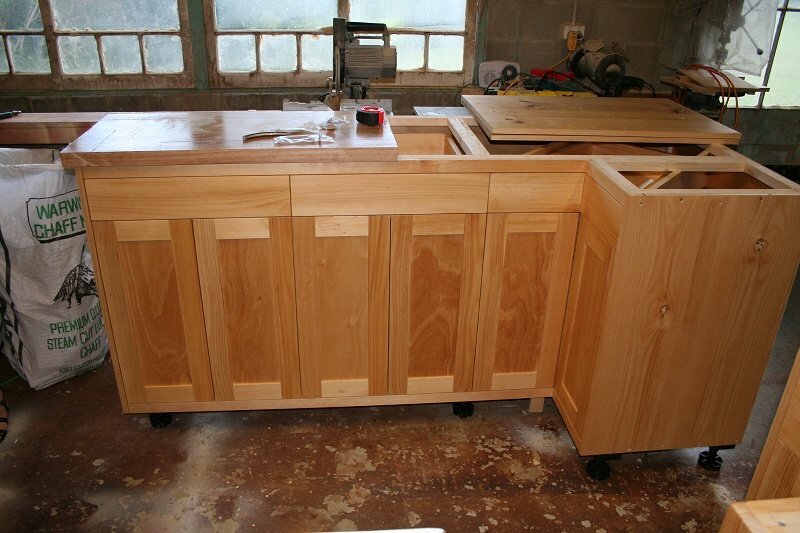 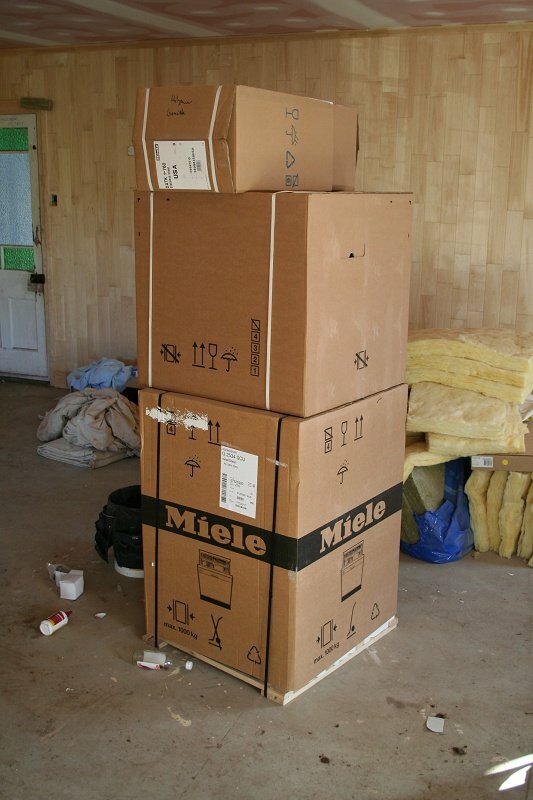 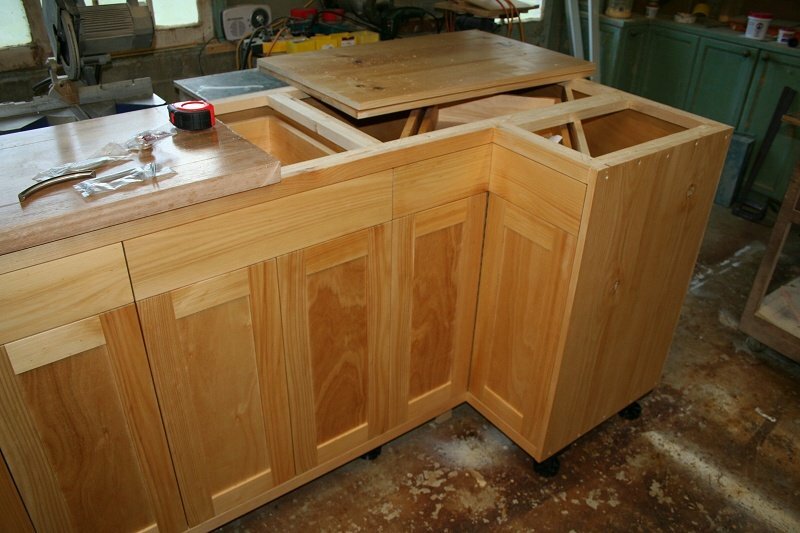 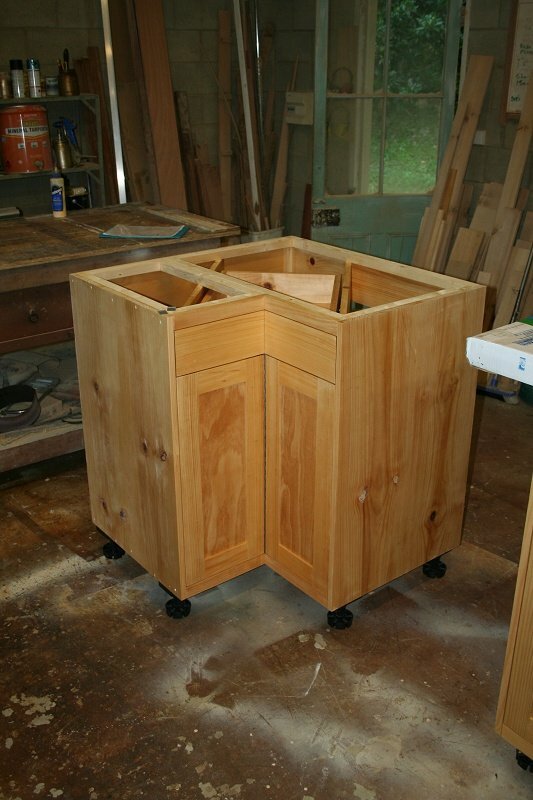 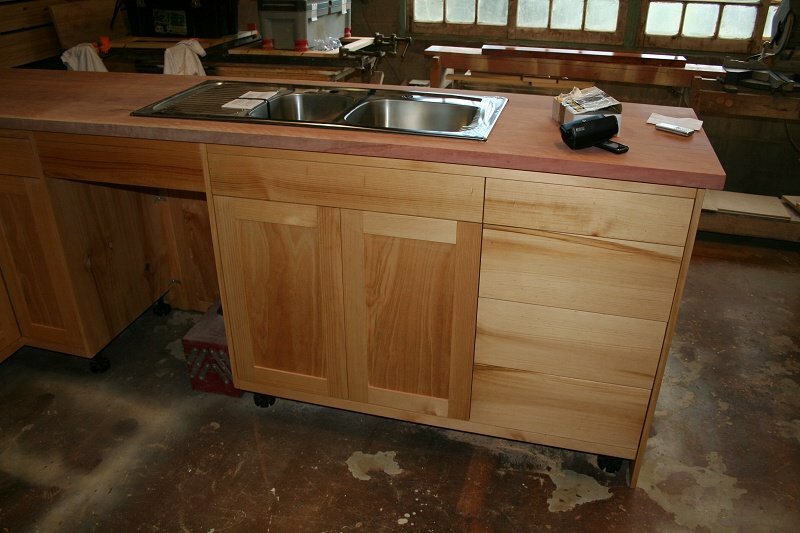 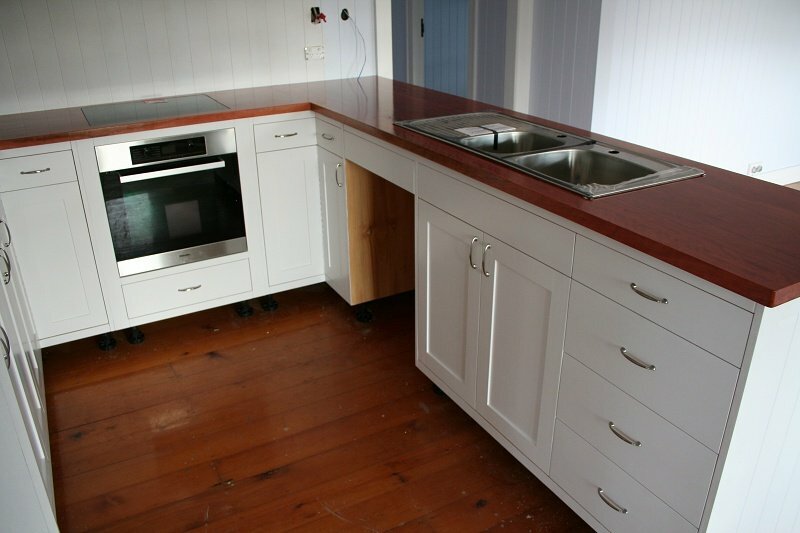 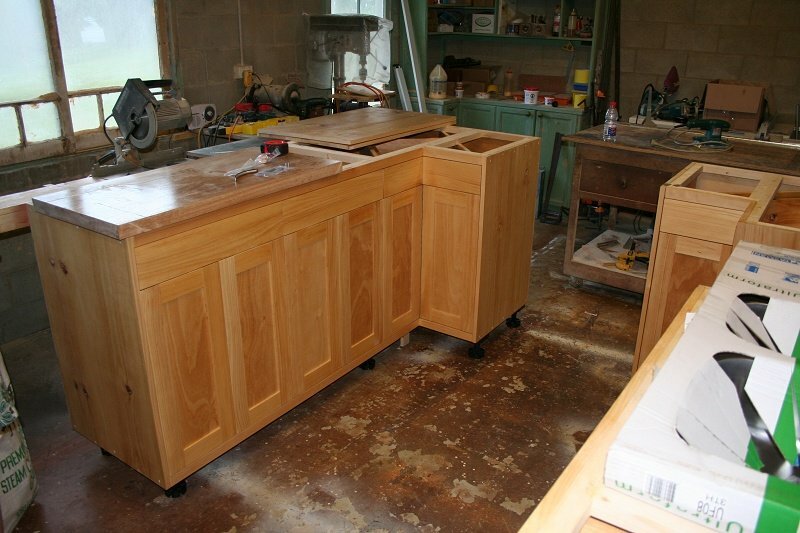 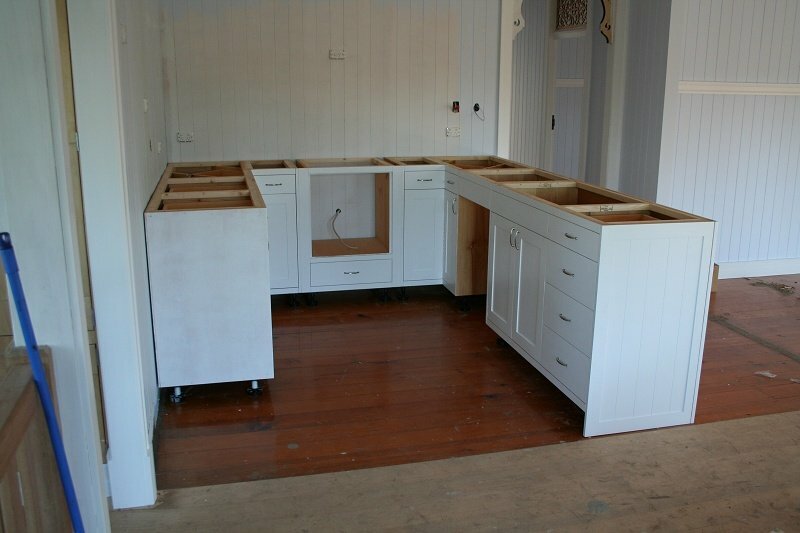 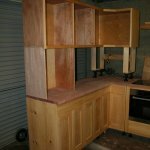 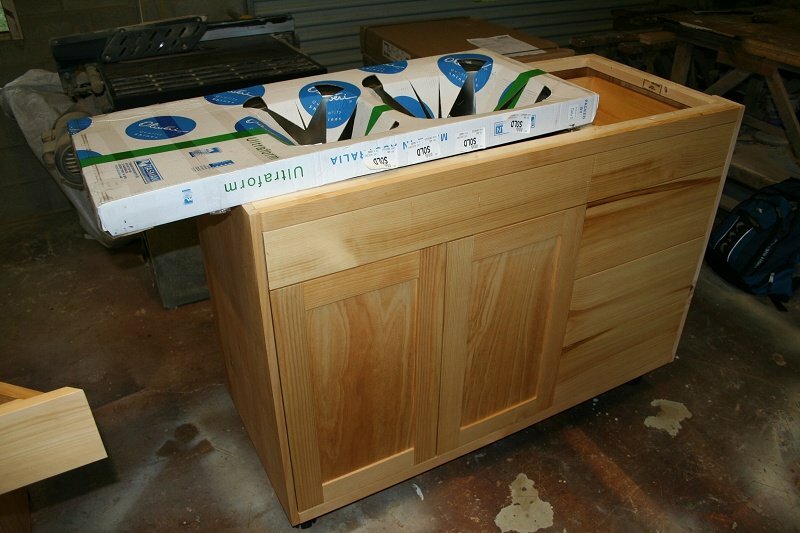 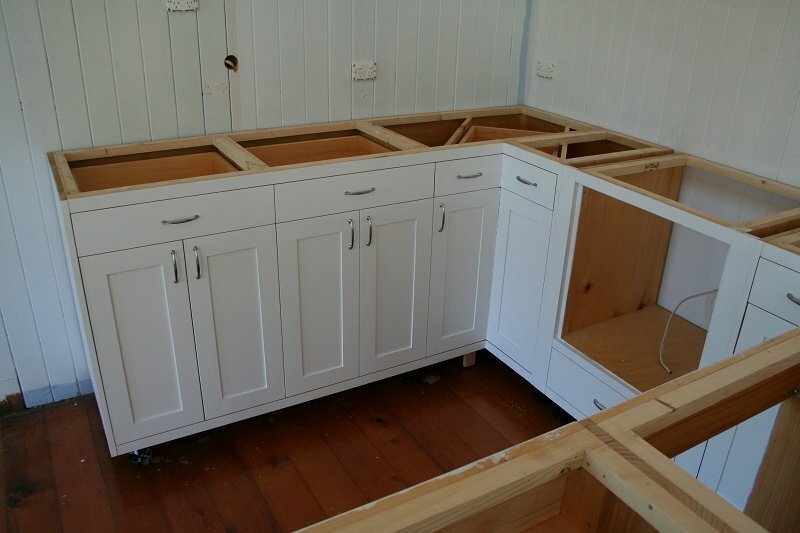 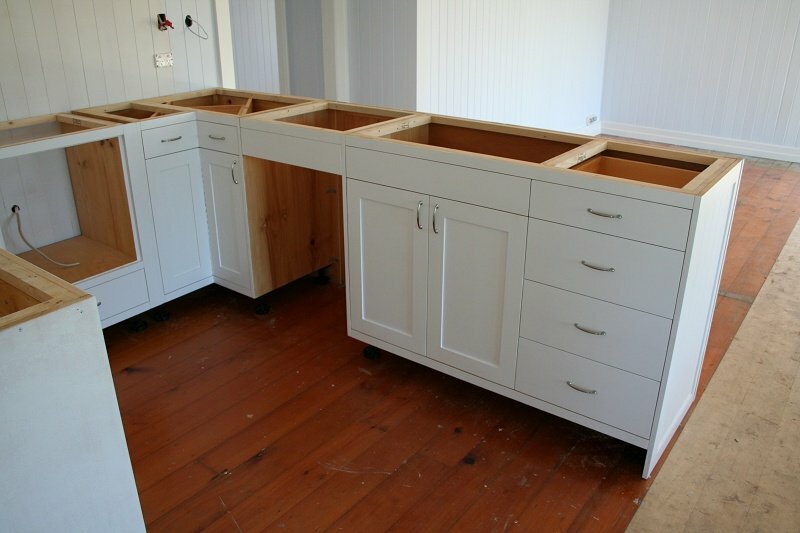 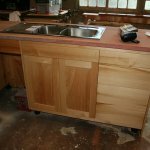 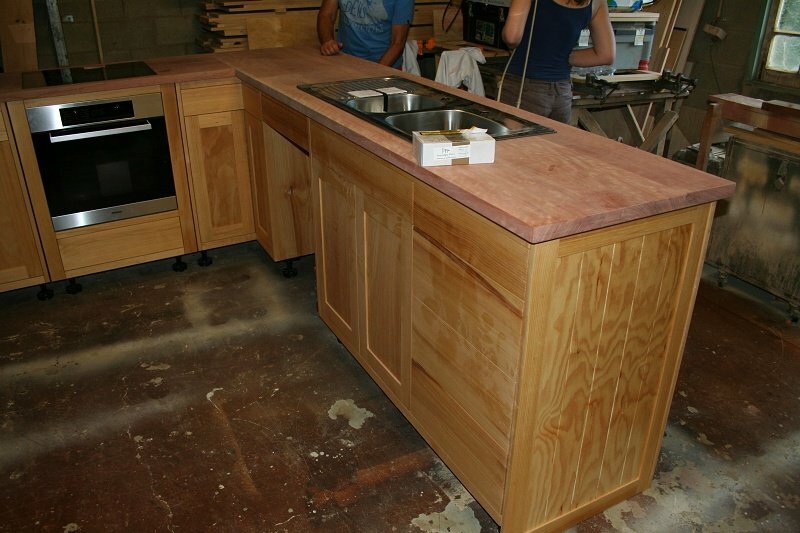 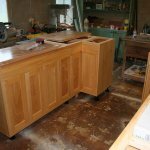 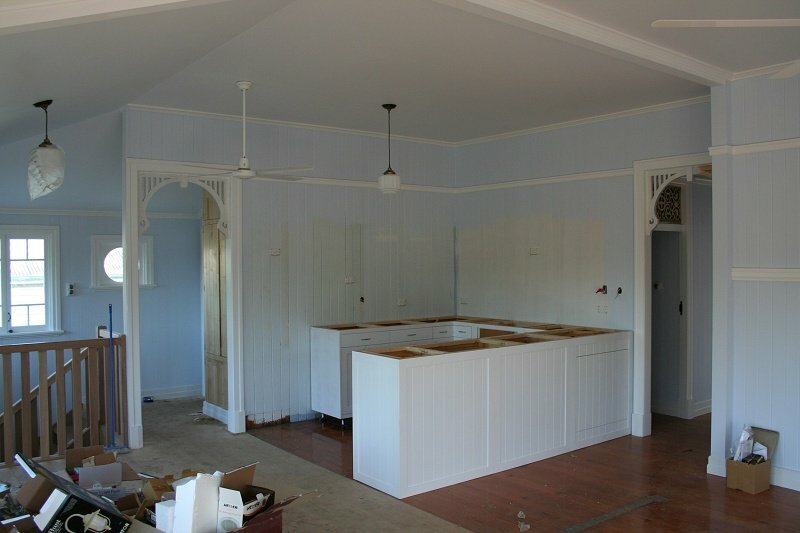 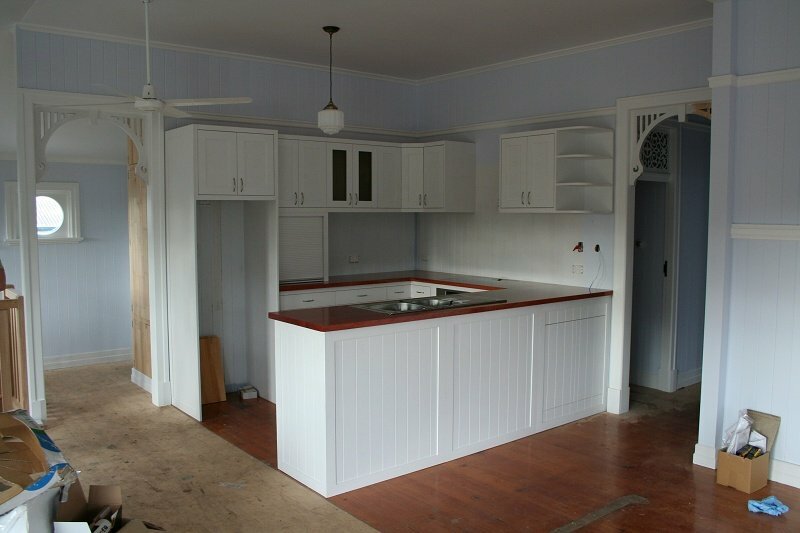 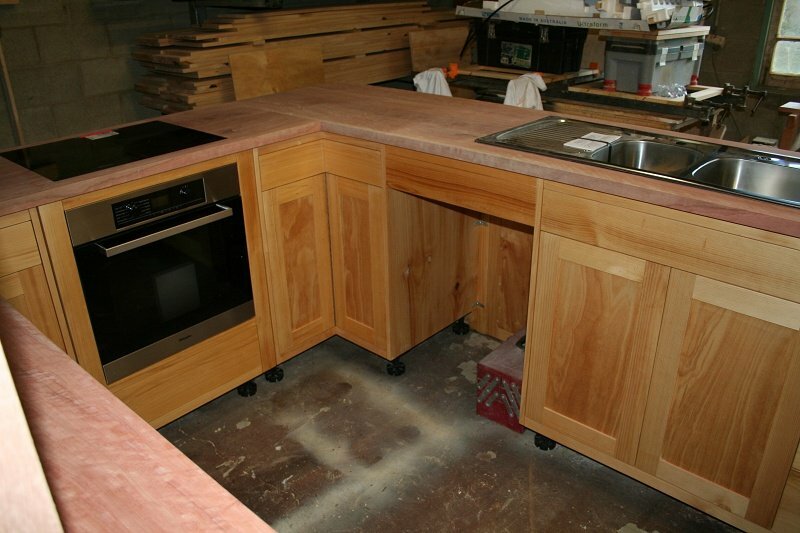 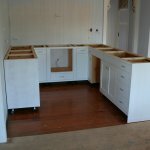 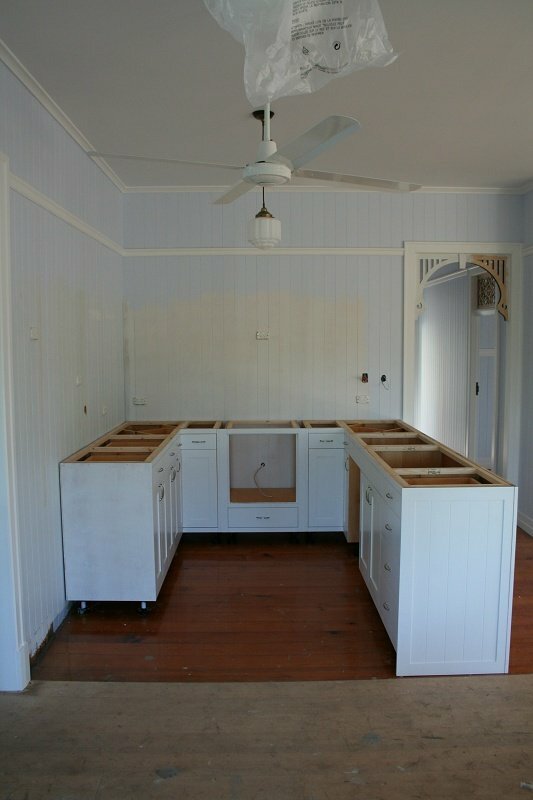 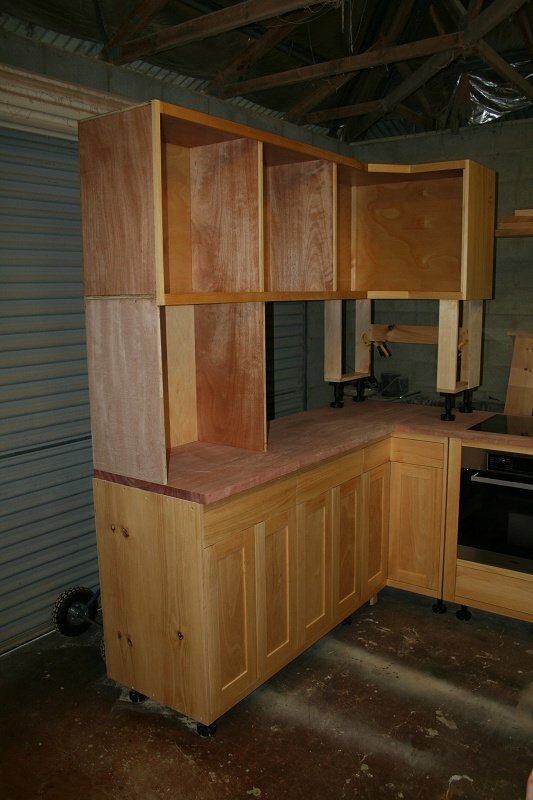 The kitchen carcass is made from locally grown, plantation Araucaria (Hoop Pine) and the benchtop will be Blue Gum. 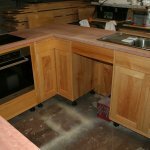 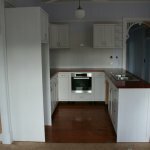 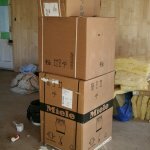 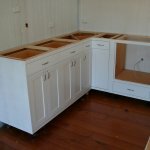 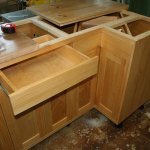 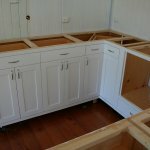 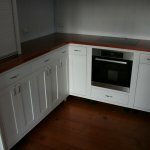 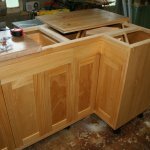 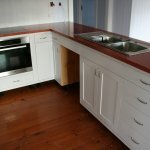 The final bench height is a non-standard 1050mm because, being tall ourselves, we are sick of bending down to chop things on low benchtops. 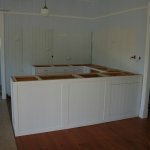 This should be a welcome change for us ... until we get old, short and feeble that is, then we'll have a problem! 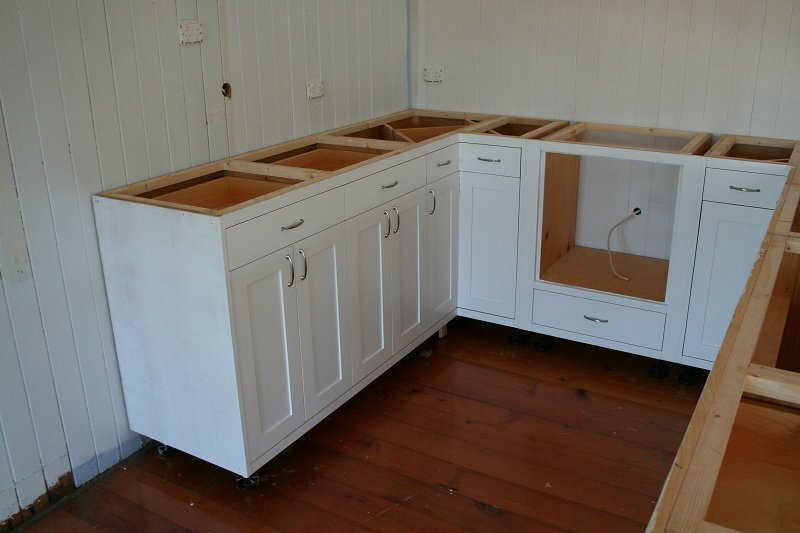 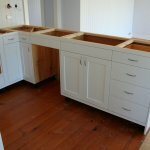 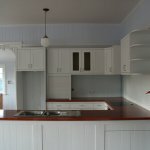 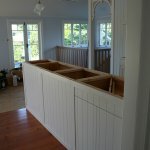 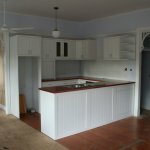 The cabinets and bench look great! 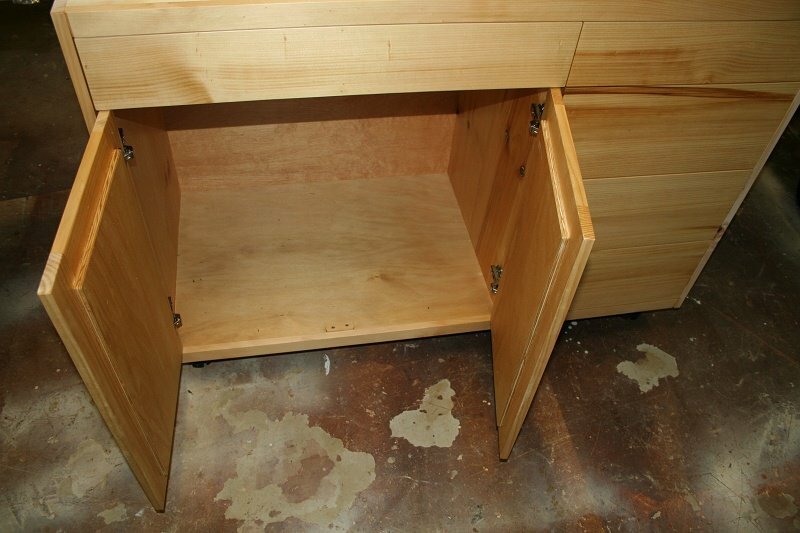 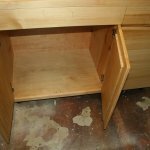 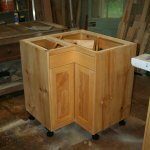 I love the tricky corner drawer.